Los Angeles-based singer/songwriter Angela Correa, says that hearing—or, rather watching—your voice come out of someone else’s mouth onscreen is a surreal, even otherworldly experience, but certainly not an unpleasant one. Correa’s smooth yet slightly smoky pipes recently served as the singing voice of Darlene Madison, actress Jenna Fischer’s character in Walk Hard: The Dewey Cox Story, a Golden Globe-nominated comedy about the turbulent ascent of fictional music legend Dewey Cox. Correa says she always appreciates the chance to provide music for a film or license one of her songs for a television show, including Grey’s Anatomy, because the cash flow provides formidable creative independence. The additional exposure to a new pool of audience members doesn’t hurt, either. An unwavering commitment to artistic integrity and independence has helped Correa generate a thoughtful, intuitive catalog of songs that appeals to virtually anyone with an ear for subtle beauty. “My songs are all about observation. There’s a little bit of the small northern California town that I was desperate to escape from as a kid, as well as some bits of Mexico and Denmark and every other place I’ve traveled. It’s all there,” Correa says. Correatown is Correa’s current moniker. 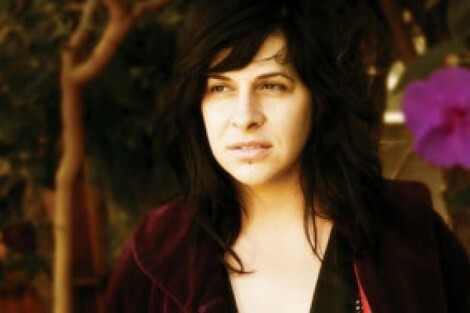 Correa’s songs are an atmospheric destination, rooted in her experiences as a traveler, so Correatown certainly fits. Her live shows feature a full band, although she generally adds a few solo acoustic songs to her set. Like throngs of other aspiring musicians and performers, Correa initially struggled when she relocated from northern California to Los Angeles. Over time, she became a fixture in Los Angeles’ vital eastside music scene. Prior to her Los Angeles submersion, Correa—whose sunny disposition practically sends rays of light streaming through ,my cell phone—admits that she was broke and her morale sinking fast. Correa insists that her first Salt Lake City performance in 2003 was a turning point in her career. Ryan Stanfield, a member of experimental instrumental band Theta Naught, saw Correa perform while vacationing in Los Angeles and invited her to play a show in Salt Lake City. The warm reception Correa received at dearly departed all-ages venue Sugar Beats wows her to this day. Early shows—especially an early show scheduled in the middle of the week, like Correa’s Utah appearance with fellow clear-voiced Californian Daniel Ahearn—tend to be a challenge attendance-wise, but Correa is optimistic. If you’ve seen Walk Hard: The Dewey Cox Story, don’t miss the surreal experience of witnessing firsthand the organic source of Darlene’s vocals. And if you haven’t caught the film yet, come see part of what you’re missing.